Most of my friends know that I am addicted to the ABC TV show “LOST“. It’s a awesome brain challenging show. It’s alot of fun trying to figure out the clues and stay on top of this fascinating thriller. 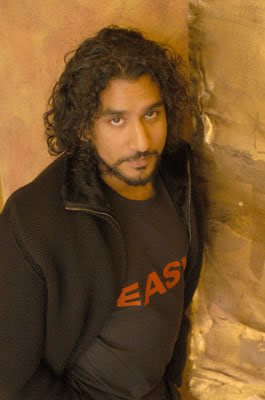 What I like best about LOST…is Naveen Andrews. What a hunk! I adore Naveen! 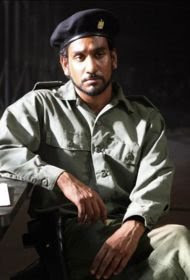 Naveen plays Sayid Jarrah, a Middle Eastern man who was a communications officer in the Iraqi Republican Guard. During the Gulf War, Sayid’s base is captured by the US forces and Sayid is forced by them to interrogate and torture his commanding officer, Tariq. At first Sayid refuses, but then he learns that Tariq ordered nerve gas to be used on Sayid’s village, killing his family members. Sure, he used to be on the bad guy team, but on the Island, Sayid is one of the Good Guys! Anyhow…I first fell in love with Naveen back in 1996, when I saw him in “The English Patient” (my other crush is Ralph Fiennes) . One my all time favorite movies. I think I saw it on the big screen a least three times (yea…kinda sick..HA!). This is a great love story, it’s a “cuddle up with your guy on the couch” movie. The other thing I like about Naveen is that he LOVES older women. All the women he has been with are at least 10-21 years older than him. What a smart guy! He is currently living with beautiful actress Barbara Hershey.